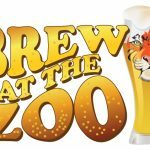 Beer and chocolate are two of the most complicated – and delicious – foods in the world, so it’s no surprise that a craft brewer looking for something new and innovative would find a way to add chocolate to the brew. Stouts are a natural fit for chocolates because of their dark-roasted grains. We’ve avoided listing the too-sweet brews that don’t much taste like beer, and in fact, not every sweet brew listed here is chocolate. 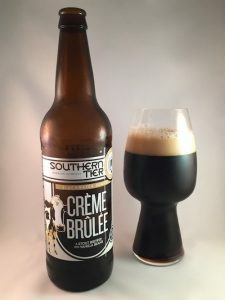 Southern Tier Creme Brulee Stout, for example, uses caramel rather than chocolate. Nevertheless, every valentines beer listed is sweet, tasty, and a perfect complement to the red flowers and chocolates that so many of us buy for Valentine’s Day. A craft brewer can make chocolate beers in several ways, sometimes adding chocolate directly to the brewing process, sometimes using chocolate malts. The flavor of chocolate stout is rich and aromatic. If your special Valentine is also a lover of special beers, make them happy by sharing one of the nine brews listed here this February along with the flowers and chocolates. You will not be disappointed. 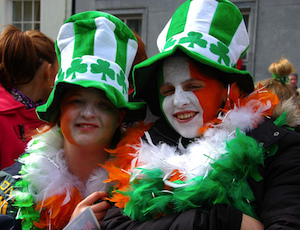 In the 1700s, the famed Empress of Russia, Catherine the Great, ordered a stout from England. To survive the long voyage, the brown beer was brewed strong, and it arrived in ideal condition. “Russian Imperial Stout” quickly became the most popular beverage of the Russian aristocracy. 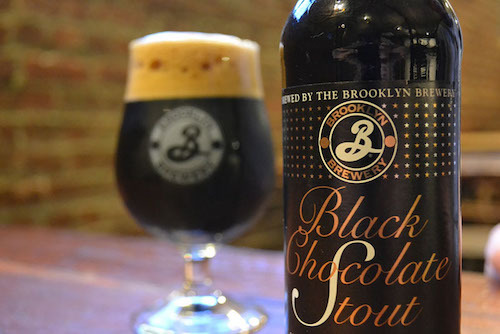 Brooklyn Black Chocolate Stout, a product of Brooklyn Brewery since 1994, is a modern classic in the tradition of Russian Imperial Stout, with a 10 percent ABV. Six malts and three distinct mashes are carefully blended to achieve the dark chocolate aroma and flavor. 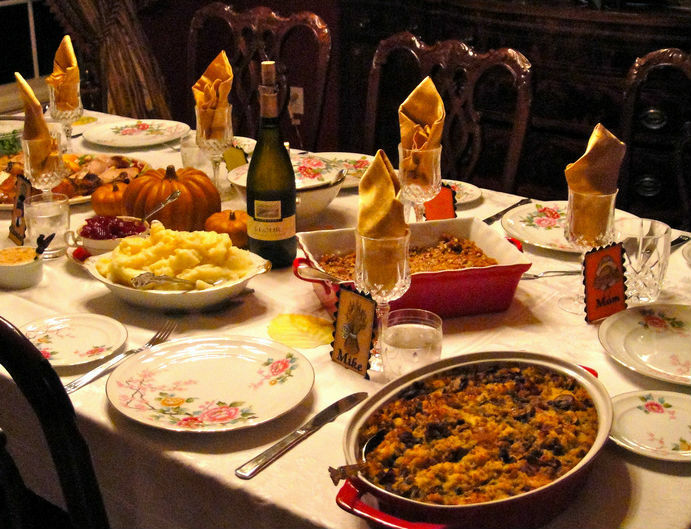 Enjoy it with cheesecake, ice cream, chocolate desserts, fine cheeses, and contemplative fireplaces. Crème brûlée, also known in some parts of the world as burnt cream or crema catalana, is a dessert consisting of a rich custard base topped with a layer of hard caramel. If you’ve enjoyed it, then you already have a good idea what Southern Tier Creme Brulee Stout tastes like. 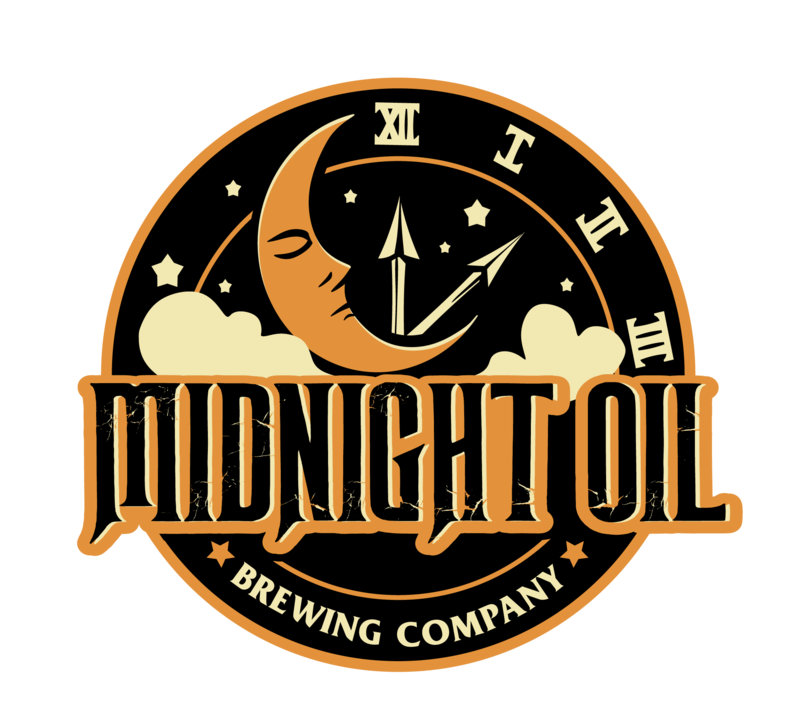 It’s a milk stout brewed with pale malt, dark caramel malt, vanilla coffee beans, lactose sugar, and kettle hops – a brew that virtually defines “dessert beer,” with a 10 percent ABV. 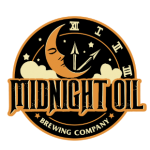 It’s been a product of the Southern Tier Brewing Company since 2008, and it’s particularly tasty as a dessert, paired with vanilla custard or Bananas Foster, or poured on top of vanilla ice cream. 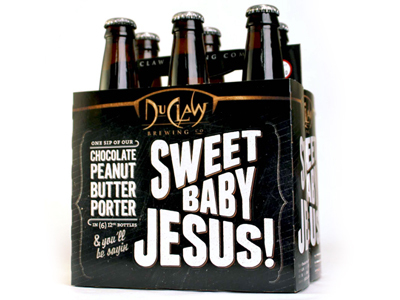 First brewed by the local Baltimore-based DuClaw Brewing Company, with a limited release in 2011, “Sweet Baby Jesus” is a Chocolate Peanut Butter Porter with a solid jet black color and a thick, full, creamy body. These bottles are sweet, malty taste is accentuated by rich chocolate, coffee, and peanut butter flavors balanced by a subtle hops character and a modest 6.5 percent ABV. It’s a beer that is surprisingly sweet and easy to drink with a roasty, peanut-buttery aftertaste. Savor it – ideally – with any chocolate or peanut butter-based dessert. 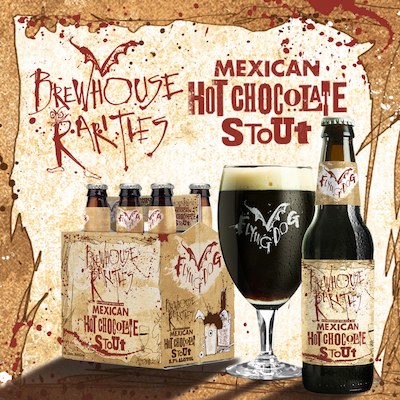 With lactose, cinnamon, serano chili peppers, and cocoa powder, Mexican Hot Chocolate Stout from the Flying Dog Brewery in Maryland, first introduced in 2015, tastes at first like a combination of sweet spice and roasted chocolate, but you will soon notice hints of vanilla and dark chocolate as well, followed by a subtle, lingering chili finish. Overall, it’s a well-balanced and rich brew that’s easy on the palate, with a 5.7 percent ABV. Flying Dog Mexican Hot Chocolate Stout pairs perfectly with dark chocolate desserts. Cocoa Molé is a spicy ale full of cocoa, ancho, guajillo, and chipotle peppers, but the heat is balanced by caramel, chocolate malts, and chocolate rye to achieve a complex yet smooth flavor. Cocoa Molé pours almost jet black with a faint reddish hue. 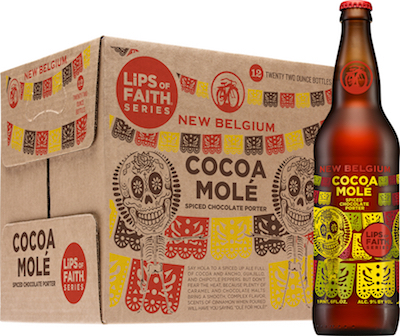 Cocoa Molé starts on the tongue with the sweet and finishes with the heat – and a 9 percent ABV. It was introduced as part of the Colorado-based New Belgium Brewing Company’s “Lips of Faith” series back in 2012. Check out the press and reviews for info on this brew online – they’re all raves! Brewed with hops, rolled oats, honey, yeast, and what Oregon-based Rogue Ales calls “free range coastal water,” Rogue Double Chocolate Stout also uses amazing imported bittersweet Dutch chocolate, making it ideal for pairing with ice cream – or with a rich beef stew. 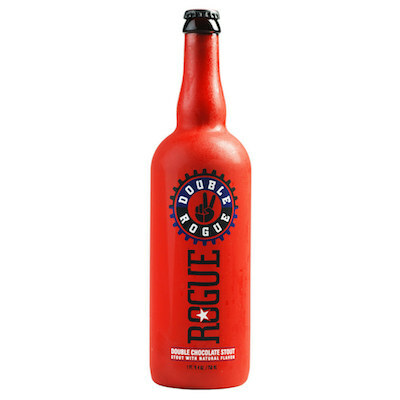 With a 9 percent ABV, Rogue Double Chocolate Stout was the winner of a Gold Medal at the World Beer Championships in 2010. It’s an “imperial” version of the original Rogue Chocolate Stout introduced back in 2001. 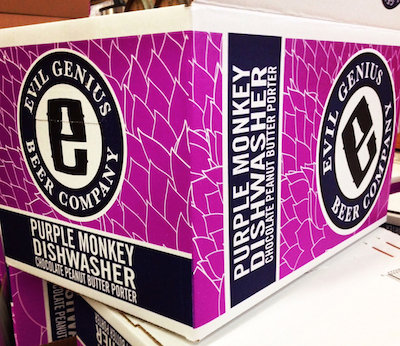 Purple Monkey Dishwasher is a robust porter brewed with chocolate and peanut butter by the Evil Genius Beer Company. They start the process with a world-class American-style porter recipe, laden with notes of chocolate, sweet malts, caramel, and molasses, and infuse it with natural chocolate and peanut butter. Purple Monkey Dishwasher – with a 6.7 percent ABV – tastes like candy in a bottle. 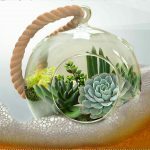 Despite its strength, you’ll be able to have this go down quite easily, but with a slightly dry and sticky finish. Layered with cocoa, Mostra coffee, pasilla peppers, vanilla, cinnamon, nutmeg, and milk sugar, Stone Brewing calls this beer an “insanely delicious” take on Mexican hot chocolate. 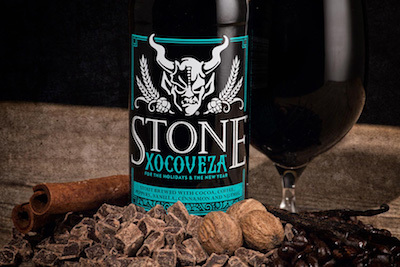 Created originally by California homebrewer Chris Banker in 2014, Xocoveza won the American Homebrewers Association’s top honors that year and quickly became popular across the country. Thick, balanced, with low carbonation and an 8.1 percent ABV, a glass of Xocoveza is the perfect sweet beer to share and experience with your special Valentine. Organic Chocolate Stout is brewed with well water drawn from 85 feet underground. The gently roasted organic chocolate malt and organic cocoa impart a delicious, smooth, and creamy character, with deep inviting flavors and a delightful finish. 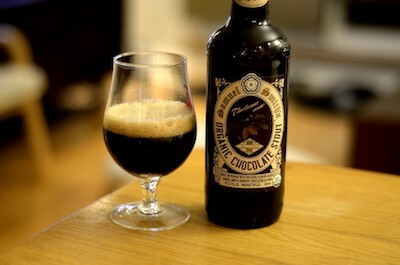 Organic Chocolate Stout, brewed in the United Kingdom by the Samuel Smith Old Brewery with a 5 percent ABV, is the perfect blend of satisfying stout and luxurious chocolate. It pairs ideally with virtually any chocolate-based dessert. Of course, a beer valentine gift, like the ones listed here, should include some of the best sweet beers. 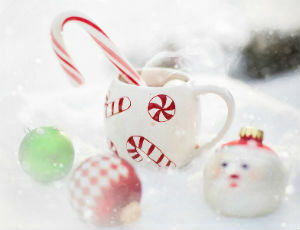 However, your search is over, as only a few of the many sweet and chocolate brews listed are some of the best presents available and will be memorable for years to come. 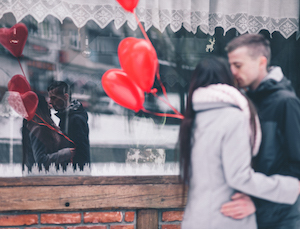 For centuries in Europe, Valentine’s Day was not only a celebration of romantic love. It also marked the end of winter and the day when the first work in the vineyards and in the fields commences. Craft brewers are hard at work right now, creating these special sweet brews for you and your Valentine. 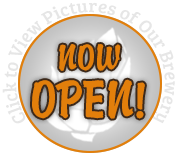 Enjoy, and please drink responsibly!